All day. All night. All summer. You're going to live in this one. 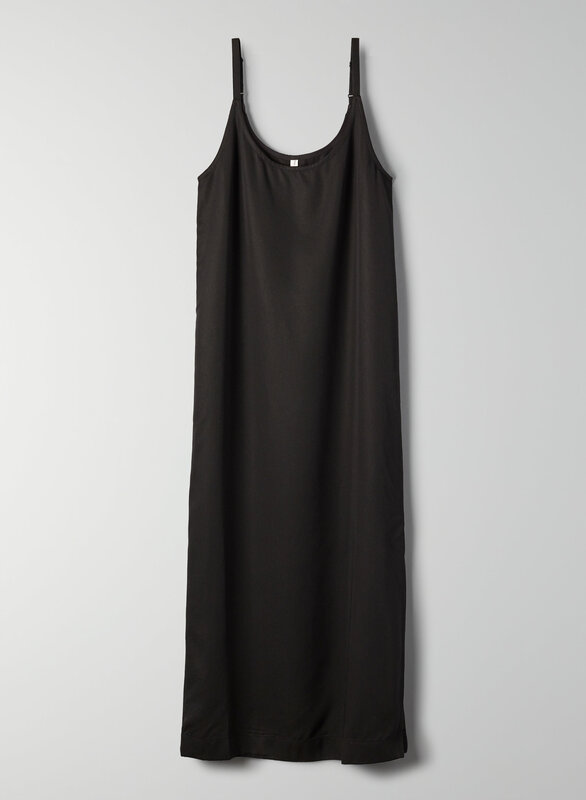 This is a tank slip dress with a double scoop neckline, adjustable straps and a side slit. 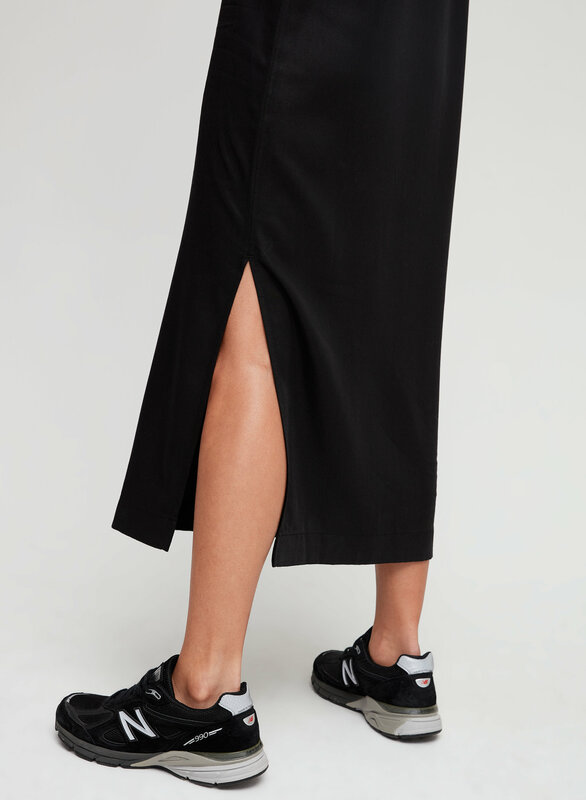 It's made with a drapey twill fabric.